An 84 year old man with atrial fibrillation, coronary artery disease status post bypass surgery, and type II diabetes with chronic peripheral neuropathy presented to the ED with weakness, multiple falls, back pain, chills, and confusion. He was found to have a fever of 102o F. A workup for sepsis was performed but no source of infection was identified. 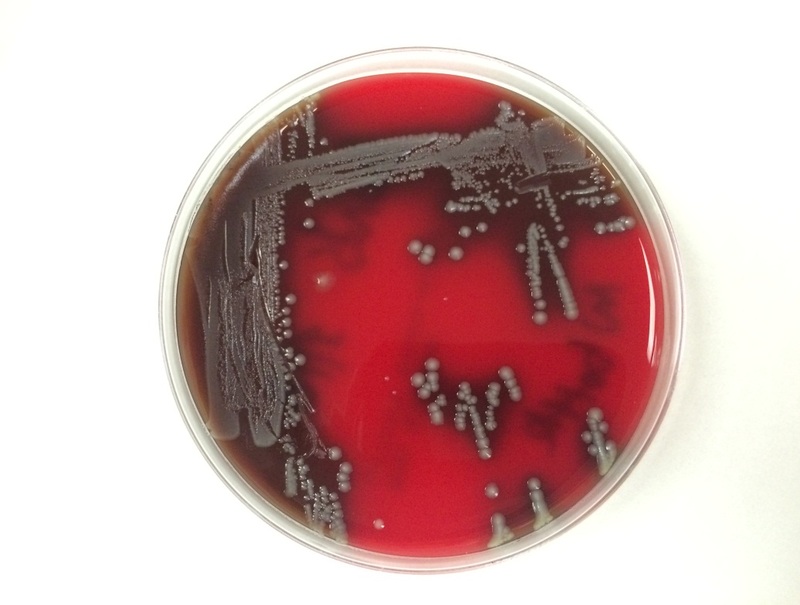 Blood cultures were drawn and the patient was started on broad spectrum antibiotics. Fevers, chills, and confusion improved but patient continued to have back pain. A CT scan showed a pathologic fracture of L3 vertebrae, presumed to be secondary to infection with adjacent myositis. Multiple blood culture bottles were positive for the organism with the following Gram smear morphology and colony morphology on blood agar. Gram smear showed Gram negative cocobacilli. The colonies were gray-white on blood agar, colorless on MacConkey and oxidase negative. The organism was identified as Yersinia pseudotuberculosis by MALDI-ToF and confirmed by VITEK. Yersinia pseudotuberculosis is a gram negative bacillus that belongs to the Enterobacteriaceae family and therefore ferments glucose, is oxidase negative, and can reduce nitrates to nitrites. 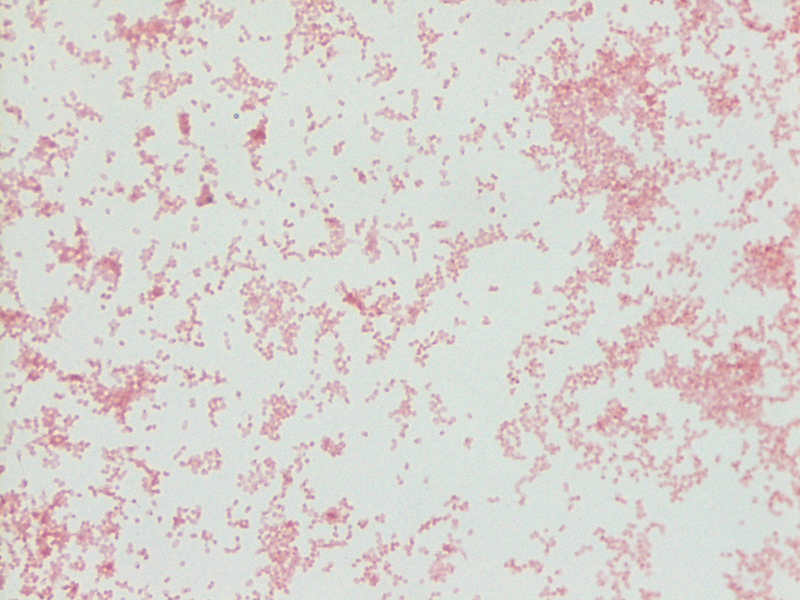 This bacterium is endemic in a wide variety of animals and is presumed to be a possible foodborne pathogen due to similarities to Yersinia enterocolitica. There have been reported cases of outbreaks associated with milk and iceberg lettuce sprayed with untreated water. Growth is optimal at 25-32o C, but can grow at 4o C. Infection is rare but typically causes enterocolitis and ileitis. Children may present with mesenteric lymphadenitis, which may mimic acute appendicitis. Sepsis is rare but is associated with those with underlying disorders such as cirrhosis, hemochromatosis, and diabetes. Reported mortality rates may be as high as 75% despite proper antibiotic treatment. In this patient, it was determined that the most likely source of infection was consumption of raw milk. Due to presumed vertebral and paravertebral soft tissue involvement, he was treated with six weeks of IV ceftriaxone. -Joanna Conant, MD is a 4th year anatomic and clinical pathology resident at the University of Vermont Medical Center. It is sometimes difficult to determine the morphology of organism properly if cocci, coccobaccili or bacilli as in this case!